I have a little hiking group on Facebook. It’s just a group for local friends who have expressed an interest in hiking. It allows me to post my plans for smaller hikes in case anyone wants to join me. I still hike alone a lot. I don’t think anyone but me has posted anything in that group in a very long time. And even when I do post something, there really isn’t much engagement there. I’m sure most of the people in the group don’t even remember joining. But I’m trying to change that. There is some new blood in the group, new people that I know are active and up for an adventure. They are bringing a pulse back to the lifeless body of my little hiking group. A few weeks ago, I met up with Heidi (@Bananabuzzbomb) while Katie and Niko (of @SimplyAdventure fame) were in Phoenix. The four of us did a quick hike at South Mountain. Later, Heidi showed a lot of interest in wanting to hike more so I figured I’d add her to the group and put something together. Her interaction in the group has enticed others to pay attention. So I posted a possible hike and got a small group together to go check out a trail north of town. 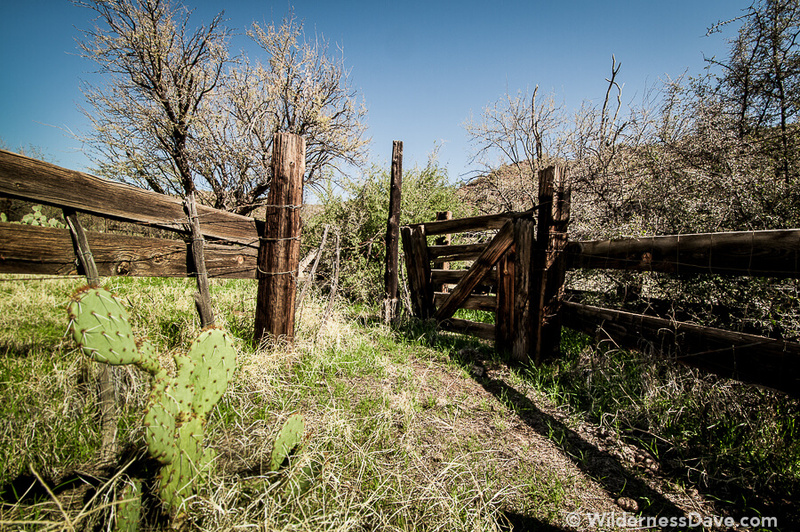 I had been wanting to explore further up Cave Creek north of Spur Cross for a long time. It seemed like the perfect hike for a small group. I picked a decent hike along the Creek with the potential for a nice payoff at the end with some petroglyphs and possible ruins. The hike would end up being 8 or 9 miles round trip and have varying terrain and multiple water crossings. A good moderate hike to get to know some new fellow hikers. We got an early start on a cold morning just as the sun was coming up. I may not have made it entirely clear from the beginning, but I had never hiked this trail before. I was going off of a pretty decent map and a trail description found online. I didn’t know if there would be trail markers or not, or how easy the trail would be to follow once we got out of Spur Cross Recreation Area. There is an expectation, when hiking with the person who has suggested the trail, that they are leading the hike. This dawned on me shortly after we got started and I felt the pressure of needing to know where we were, where we were going and how far we still needed to go. Every time someone asked, “is this the trail?” or “do we cross the creek here?” I felt like I should not only know the answer but be confident about it. I quickly made it very clear that we were all in the same boat, that I had never been on this trail before and was learning as we go just like everyone else. I’m not sure if that made them feel any better or not, but I wasn’t going to have them following me into the desert with some false sense of security that I knew where I was going. We took turns leading and route finding, making mistakes, backtracking a little and continuing to refer to the map. 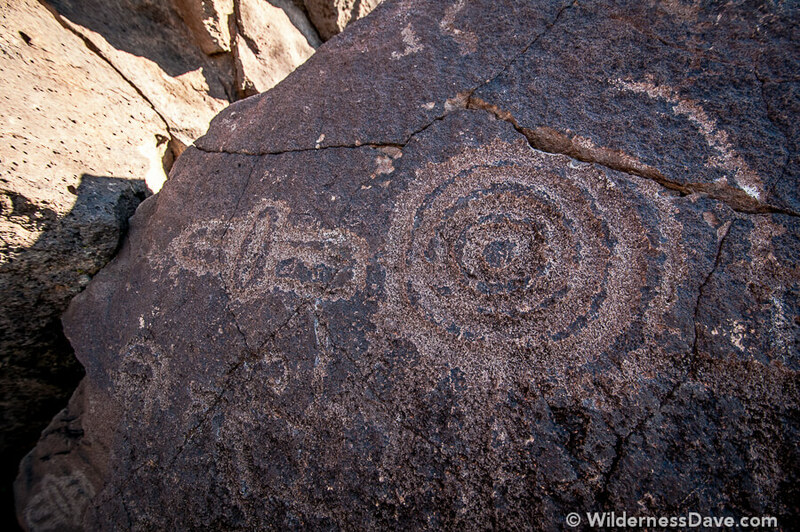 At one point, we encountered a couple of older gentlemen out hiking the same trail and looking for the same petroglyphs. They seemed to be having similar routing issues as us, but they had a GPS. So we compared notes and I tried to compare his GPS location (his maps sucked) to my map. This worked well until the next creek crossing and we lost our route again. We had been looking for a turn, a side trail to take us up an adjacent canyon from the creek but couldn’t locate it. The guys with the GPS were confident that they knew the way. And here’s my next mistake…I followed them…WE followed them. If there’s one thing I’ve learned over the years it’s that most of the time the guys with the GPS really don’t know where they are. Most of the people I’ve come across using GPS don’t even know how to relate their GPS position to where they are on an actual map. I should have known better than to follow these guys and we missed our turn. Once I realized this, I communicated that to the party and we all agreed it didn’t matter too much. We’d just continue to follow the creek and, worst come to worst, we’d retrace our path along the creek to get back out. Missing our turn meant we missed a chance at the ruins. 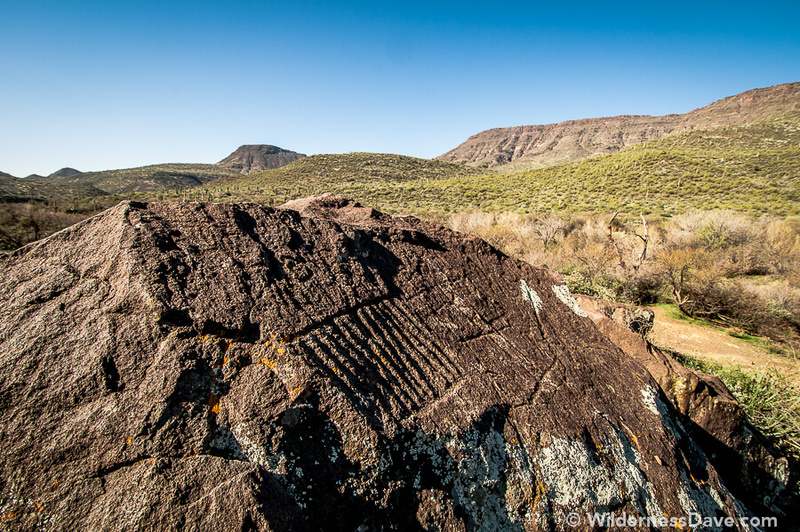 But we could still find the Petroglyphs if we watched carefully. Luckily, we spotted them quickly and were able to stop and take pictures and explore the area. 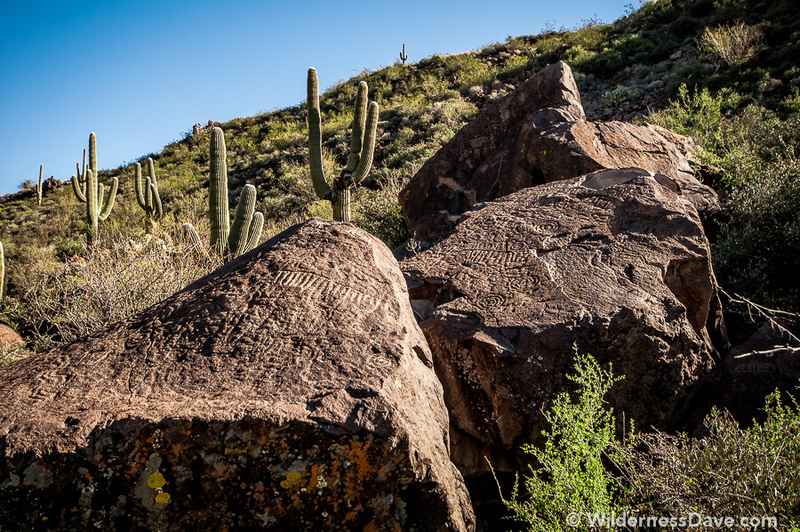 We found some great rock art along with several metates in the natural boulders. The low lands around the creek would have served as the agricultural land for the Hohokam living on the hilltops in pit houses and rock structures around here about 800 years ago. This hike did teach me to be a little more prepared and to not take my role as planner lightly. As the one planning the hike, I became the default leader and guide. The expectation was that I would know the way and I didn’t. This does make an argument about the virtues of scouting new trails before bringing others out. But then that takes me back to hiking solo, which most people agree is not safe either. I found the answer, at least in this case, was good communication as well as feeling out the mood of the group. As soon as I felt tension or frustration in the group, we called it and headed out. On the way back out we found the junction in the trail we had missed. It was a really obvious junction with a sign and a map and everything (hell, it could have had red flashing neon arrows we still missed it). 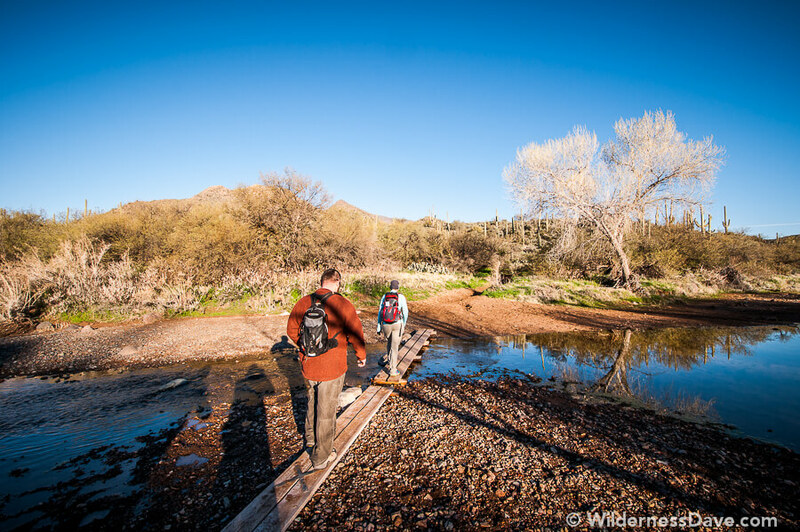 I look forward to heading back out to the trails north of Cave Creek and exploring further…maybe as a solo scouting trip next time. Once, in Paria Canyon, having seen 3 different GPS waypoints for the same trail location while hiking into the Coyote Buttes, I’ll be danged if I’ll ever solely trust a GPS. Thank goodness I had my wits, a friend, trail descriptions and a map – and we reached our gruesomely twisted sandstone destination, The Wave (where we took another GPS reading that yielded yet a 4th coordinate). 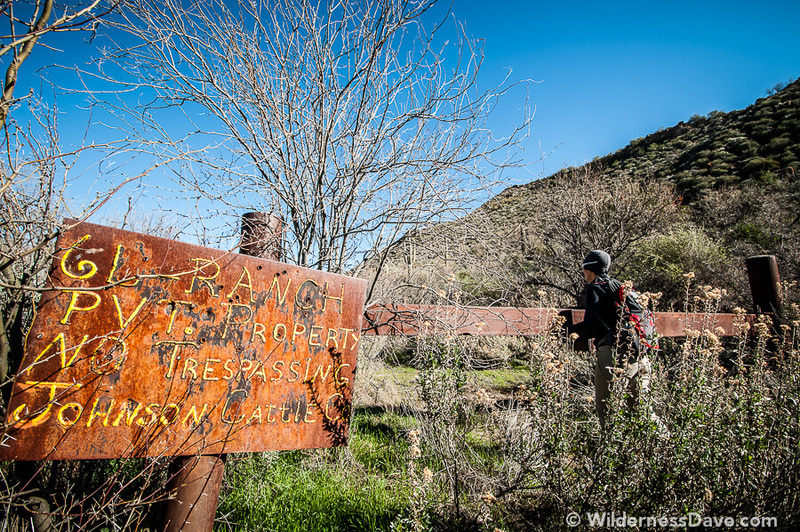 While it’s preferable to have scouted a trail prior to leading a group hike over it, one doesn’t always get the opportunity, especially when the trailhead is a little further afield. 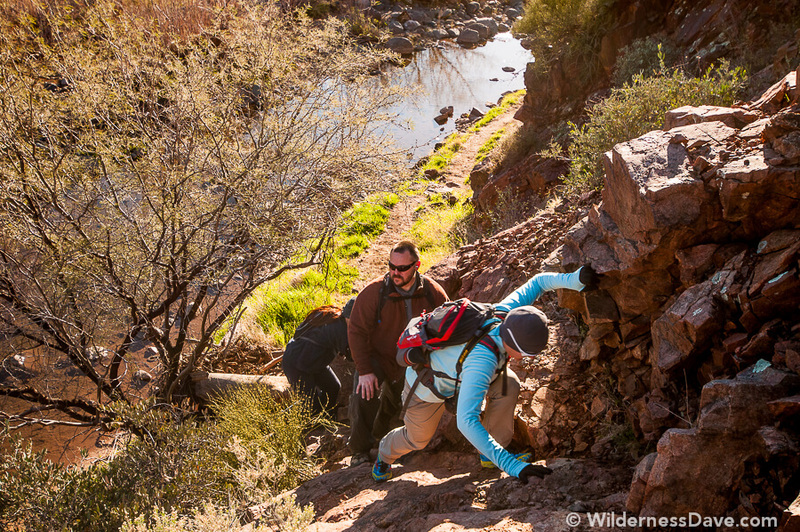 But whether you know the trail or whether the hike will be a new experience, it always pays to set the group’s expectations early – once in the event write-up, then again at the trailhead before embarking down the trail. It’s at the trailhead that I tend to use words such as “discovery” and “adventure”, which I find resonate with folks. I also ask my fellow hikers to confirm my map readings so that there’s more of a consensus than an undue trust in my map-reading abilities. And that means more than any GPS interpretation can provide.